Brass hose bib, 3/4" MPT. 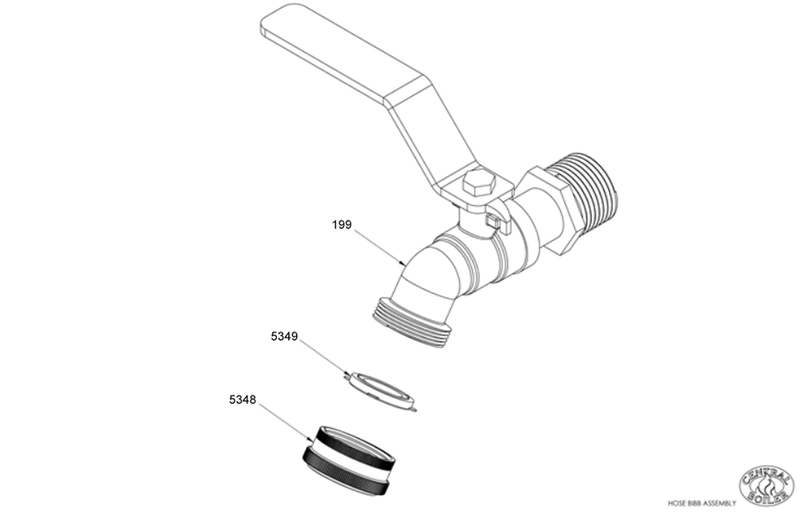 Use Brass Cap (p/n 5348) with Washer (p/n 5349) to cover the end. Brass Hose Bib Cap, 3/4"